The motifs in question are small three-dimensional structures found in proteins. 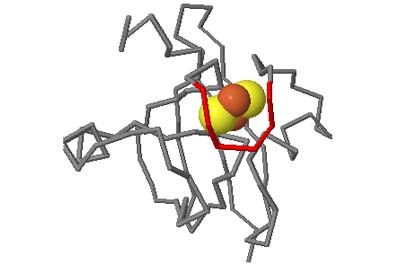 Typically they are loop-shaped, three to seven amino acid residues in length, and are generally stabilized by backbone — and in some cases side-chain — hydrogen bonds. More well-known examples include Beta Turns and Schellman Loops; others involving main-chain hydrogen-bonds include Beta Bulge Loops, and those involving side-chain hydrogen bonds include Turns, Loops and Motifs with Asx or Ser/Thr residues. In some motifs the three-dimensional structure can also be stabilized by linkages to partially charged atoms of ligands. Although many of the motifs were described some time ago, there are several interesting more recent additions. A Motif Glossary with formal definitions and illustrations of each motif is available in a pop-up window, here, and at any time when using the actual facility (from a link at the top right of each page). This was last revised in July 2015. What does the facility provide? The facility provides different ways of looking at the motifs in the context of a particular protein. 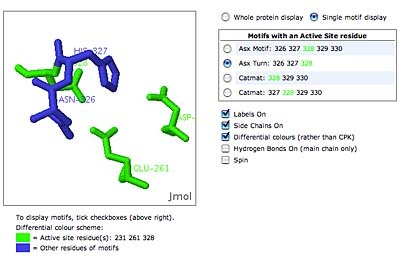 You can list the motifs in a protein, see them in the context of the secondary or tertiary structure, and examine the three-dimensional structure of a specific motif and its hydrogen bonds in atomic detail. 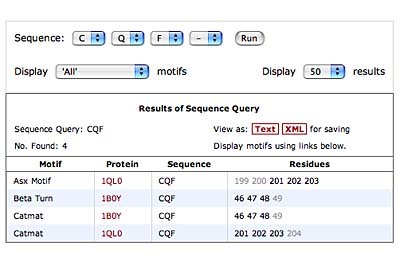 You can search for proteins with motifs near active sites or near ligands, search for proteins with motifs having a particular amino acid sequence pattern, or perform searches for overlapping motifs or motifs of one or the other main-chain enantiomeric forms. 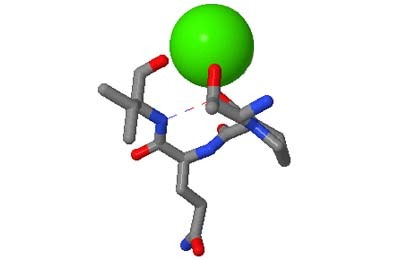 Summaries of amino acid compositions and dihedral angles are also available. 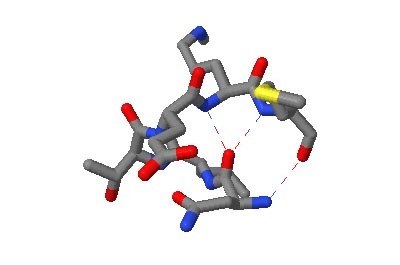 A description of the facility has been published in BMC Bioinformatics (2009) 10:60. Click on the thumbnails below for screen-shots illustrating features of the facility. We wished to spare users yet another acronym (WFESHBM? ), but felt it best to avoid a name incorporating the potentially misleading term ‘motif’ — more often used for sequence patterns. 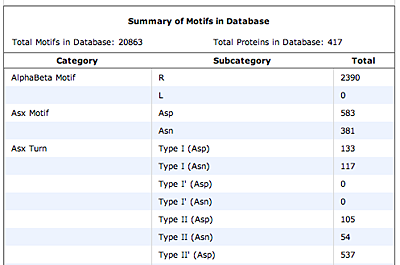 We trust that the apparent frivolity of the name ‘Motivated Proteins’ is more than compensated for by its memorability. David Leader and James Milner-White, of the College of Medical, Veterinary and Life Sciences in the University of Glasgow, are the creators of Motivated Proteins, and hope that you will find the facility useful.